Download en converteer video's van de overgrote meerderheid van websites. 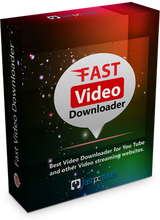 Fast Video Downloader is software waarmee je video's kunt downloaden van Bing, Youku.com, Vimeo, DailyMotion, Metacafe, Facebook, Worldfloat, Veoh, Break, CollegeHumor, EHow, Imdb, Academicearth, Bliptv, Anitube, Blinkx, Yahoo, Flickr, Zerodollarmovies, Bambuser, S56, Lemonde.Fr, say-move.org ,video.fc2 , cyro.se , littlethings.com, sohu.com, BoxTv.com, livestream.com, twitch.tv en vele andere videosites . Het kan ook video's downloaden van sites die gebruikmaken van het mp4, avi, flv , webm , wmv , 3gp en mp3 bestandsformaat. Fast Video Downloader kan live streams downloaden van livestream.com en andere websites. Je kunt rechtstreeks video's zoeken in de applicatie en deze toevoegen aan de downloadlijst. Daarnaast kan het video's converteren naar iPhone, iPad, iPod, Android, psp compatibel formaten. Het kan het audio (mp3) onttrekken van video's. En het kan de resolutie van de video aanpassen zonder het videoformaat te veranderen. Het beschikt over een ingebouwde planner om het downloaden van video's in te plannen. Het is mogelijk meerdere video's gelijkertijd te downloaden. 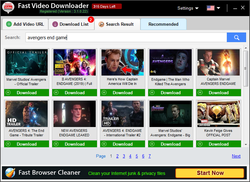 •	Beheer je downloadgeschiedenis van video's. •	Gratis applicatie-updates en feedback indienen voor mislukte video's. NB: De licentie is geldig voor 1 jaar. 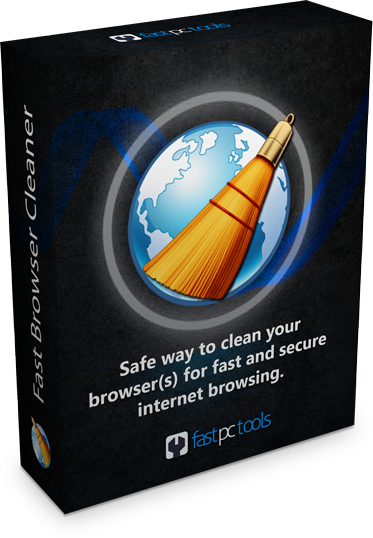 Fast Browser Cleaner is software voor het opschonen van add-ons, extensies, opgeslagen onbeveiligde wachtwoorden, creditcards, cookies, geschiedenis, tijdelijke bestanden en zoekmachines. Verder kun je de opstartpagina, startpagina en standaard zoekmachine van de browser aanpassen. 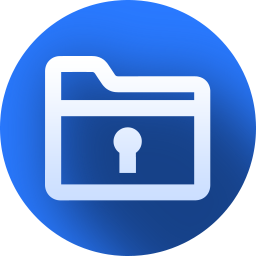 Verwijderen van MyStartSearch, Wazam, HealthAlert, ReleventKnowledge, SweetIm, Babylon, de meeste toolbars van conduit, GameDesktop, YesSearches, de meeste toolbars van MyWay(Ask,Mindspark), etc. Vandaag heb ik niet goed een idee, wanneer ik hier iets kan plaatsen. Wel gezien, dat er via een link in de Readme iets aangevraagd moet worden. Je hebt een werkend mailadres nodig om je sleutel aan te vragen. je hebt 15 dagen de tijd om hem te gebruiken. Als je het programma afsluit, blijft het stiekem nog draaien in de tray. Let bij de installatie goed op - ik trapte erin - dat je niet onbedoeld een browser cleaner mee installeert. Adds an annoying suffix "-Downloaded by FastPCTools.com" to the end of the every filename of the video you download. Can't see an option to turn off that annoying 'feature' off. Downloaded and installed without problem. Registration fast and simple, just give them your email and quick response. Restarted and downloaded from youtube, fast and simple. Seems to do what it promises. Will have to try other sites later. Downloaded and installed without problem. Registration fast and simple, just give them your email and quick response. Restarted and downloaded from youtube, fast and simple. Seems to do what it promises. Will have to try other sites later. I got a pop-up that asked me if I wanted to upgrade to the Pro Version or continue with the 'lesser' version. So something might be blocking your pop-up, otherwise you would not see it. Tell you what, close the program. Restart but not reinstall. After it restarts, head on over to the "Settings" on the top right. Click on it, go to 'Register' and enter you key. This way you can register the program in a different manner. If it all goes well, you should see in the VERY top of the window '366 days left'. If it doesn't work...post your solution! Dave, I got a pop-up that asked me if I wanted to upgrade to the Pro Version or continue with the 'lesser' version. So something might be blocking your pop-up, otherwise you would not see it. Tell you what, close the program. Restart but not reinstall. After it restarts, head on over to the "Settings" on the top right. Click on it, go to 'Register' and enter you key. This way you can register the program in a different manner. If it all goes well, you should see in the VERY top of the window '366 days left'. If it doesn't work...post your solution! Downloaded problems as it was flagged by my anti virus as a virus and did not have right permissions to access file. Went to properties changed permissions to administrator and still a no go. Went to actual website and downloaded their copy and same results. Finally Turn off anti virus and download went fine and installed ok the file from their website. Upon install it did a update and i used reg code given it activated ok. The Reg Code came very fast in the email. Tried 2 downloads right away from YouTube and all went well and download quality was superb! 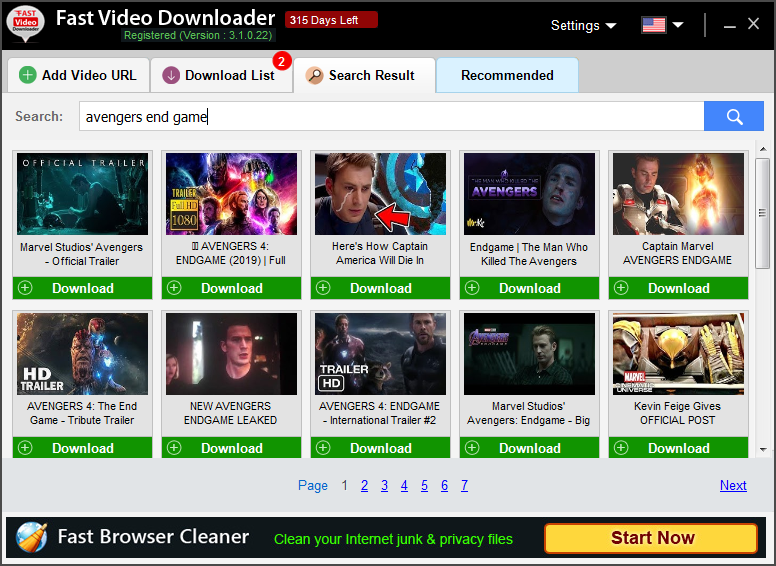 Just out of curiosity I went to a movie site that i have an account for and thought i would give this program a whirl there and to my surprise it actually started to download the movie files off that site. and just to be clear the site is not NetFlix it is another. The downloads off of Youtube were both 600 and 500 meg files both downloded and converted in a very fast time and each file was approx a 2 and 3 hr file to watch. The Movie file Downloaded 1.7 gig file and the quality was great! I am very impressed and will be able to make a nice Digital Movie Collection To Bad the License is only for a year. downloaded and installed this on Vista and yes it does dive right into several update downloads that may be cancelable but I chose not to cancel the updates and that may be why it becomes able to download youtube videos ok.